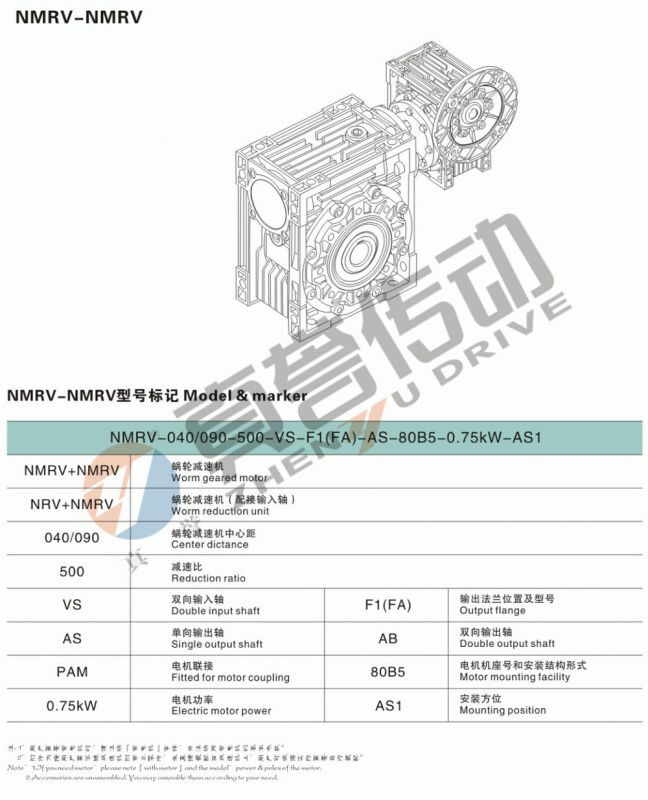 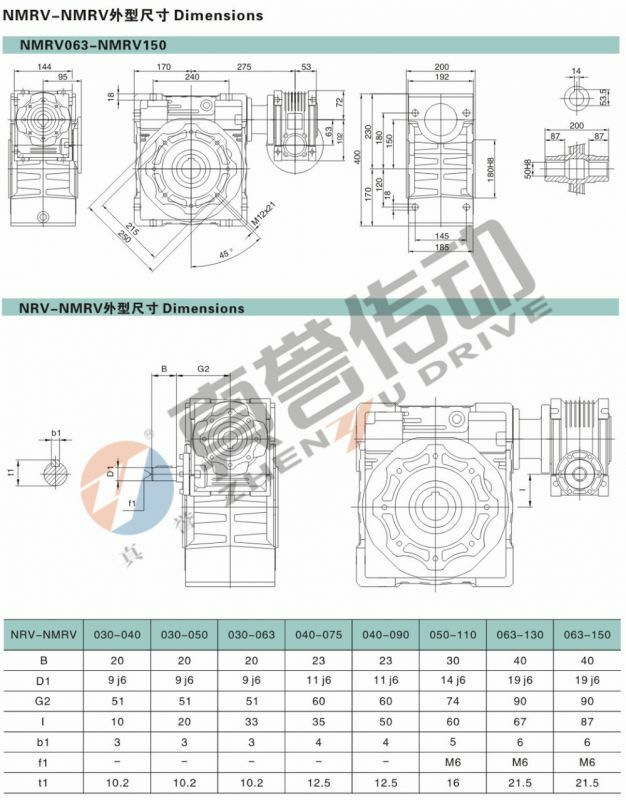 NMRV series worm gear reducer is a new generation of products developed on the basis of the original WP series products and integrated with international advanced technology. 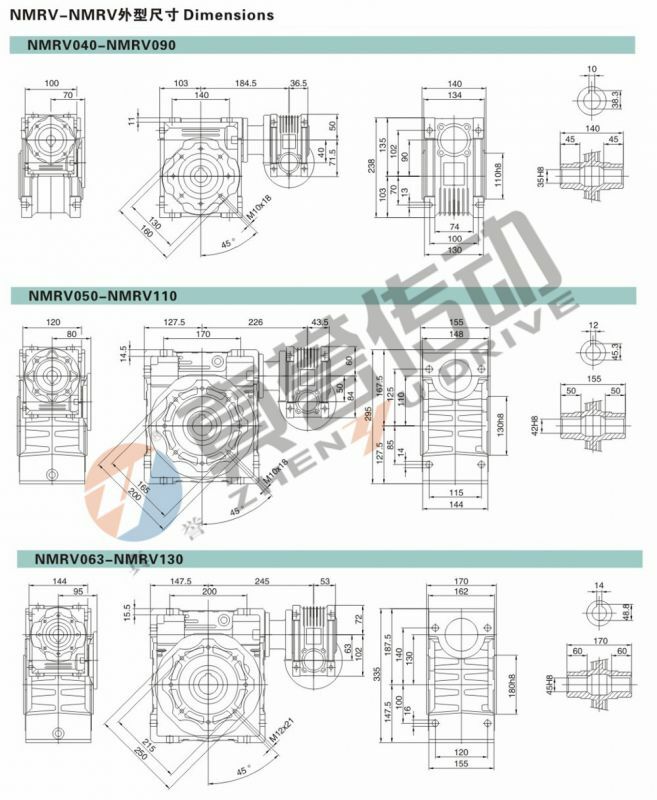 It adopts advanced square box structure and high-quality aluminum alloy high-pressure die-casting, which is small in size, light in weight and high in height. 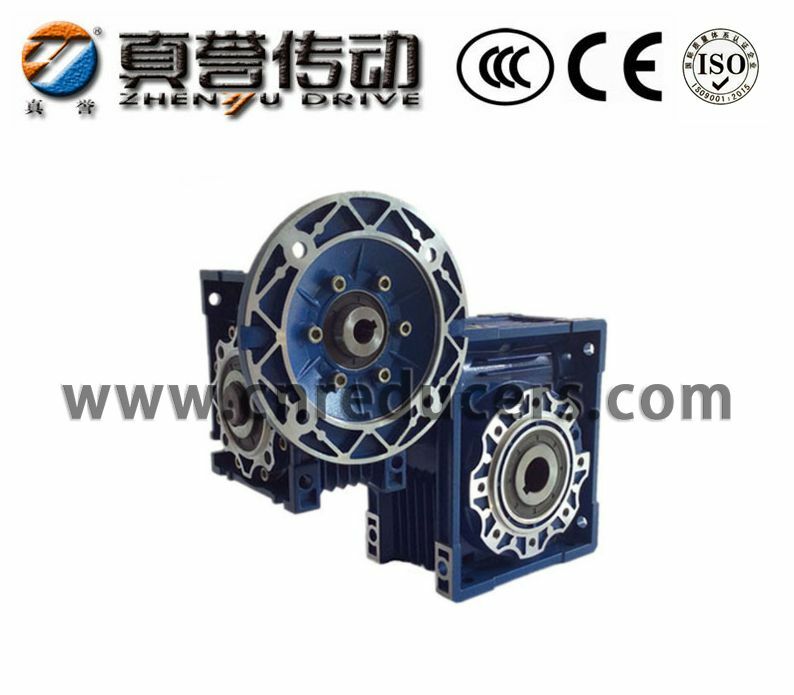 Strength, heat dissipation, beautiful and durable. 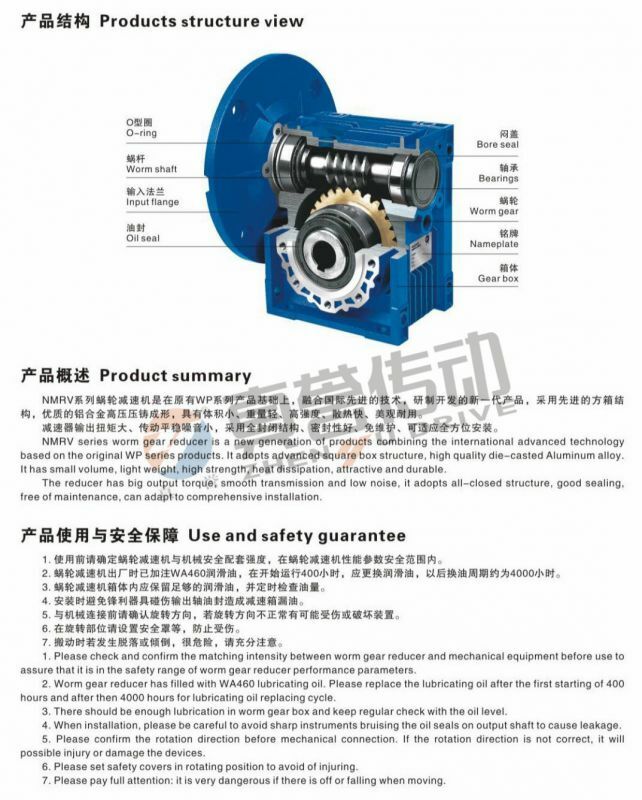 The output torque of the reducer is large, the transmission is smooth and the noise is small, and the fully enclosed structure, the sealing is good, the maintenance is free, and the installation can be adapted.